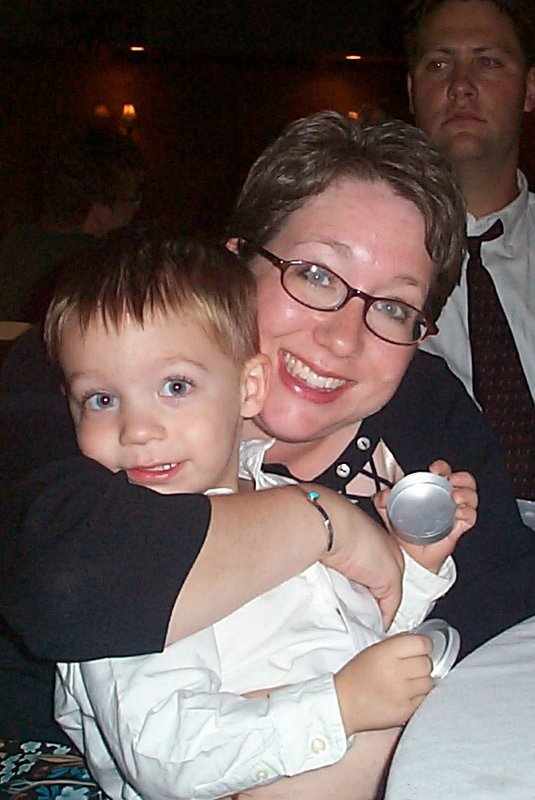 This is my first time joining in Tackle-It Tuesday, hosted by 5 Minutes for Mom. Today I tackled my boxes of baby clothes. I started out with a big pile of clothes, bibs, socks, etc and later brought in 2 boxes of blankets too (not shown in pic). I'd freecycled a bunch of 0-3 and 3-6 month clothes about 6 months ago, but I still had way too many. 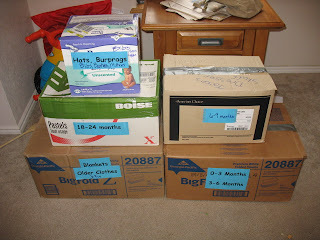 By the time I finished with those, all my 0-3 and 3-6 month clothes fit in the box that had held just the 0-3 month clothes. Didn't have much 9-24 month stuff to sort since Baby is in 9-12 month and Toddler is in 18-24 month stuff (and I went through their dresser yesterday and purged too). Sorting out the older clothes was easy cuz it was almost all hand-downs that I didn't want anyway lol. The blankets I got rid of at least half. 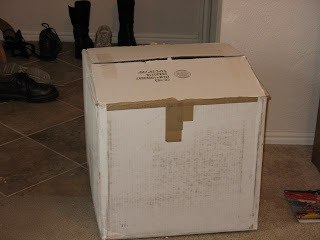 I put everything I am freecycling into the largest box, and had to sit on it to get it to close, it was packed! I hope someone else can find a use for them. I somehow had 3 empty boxes when I was done, and now I have more room in the boys closet too. 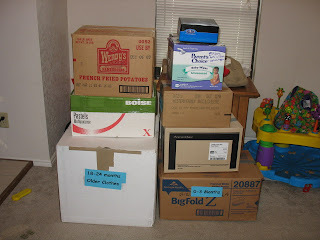 Here's what I started out with, not including the 2 big boxes of blankets. It took about 1.5 hrs with Baby climbing all over me and Toddler wanting things, but I'm glad it's done! Sorting those clothes is always a big job. You did great! Wonderful job!!! I hate sorting clothes! It's hard to decide what to keep. Then you have to make sure it fits. Ugh! Good for you-especially with a baby and todddler "helping"! Great job!! Sorting clothes is always such a huge chore. Good for you! I know those things can really pile up. Oh wow, that's great you got through so much! Way to go Kara!